GO AHEAD & MARK DOWN SOME MARGIN TO REST & RENEW. Come and enjoy apple picking at Beemerville Orchard, Hiking at Point Peter or High Point Park, and Tennis, Basketball, Volleyball, Golf, Fishing, Shuffleboard, Table Tennis, and Walking Trails at the conference center! lodging & meals all Saturday & Sunday morning. Join us if you can, and invite your friends if you'd like! We know it's not the beach like the last 4 years-- we are sad we outgrew Ocean Grove, too. 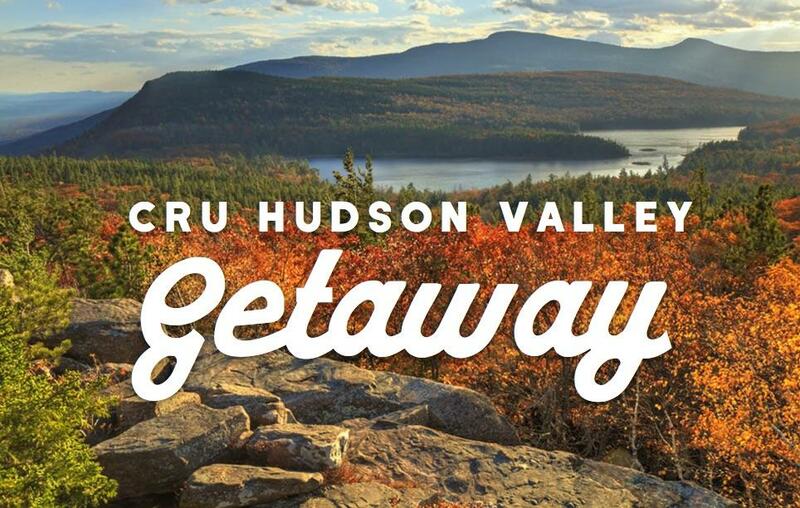 But embracing Autumn in the Hudson Valley is the next best thing for an escape outside the City in October!! When you outgrow the beach, you might as well embrace Fall in the Hudson Valley! "The beach retreat was huge for my immersion into NYC. I had been here for a month and had really struggled meeting people and developing relationships. The retreat came at the perfect time to spend quality time with a few individuals and really establish community in the city. The people I met during the retreat are now my closest friends in the city!" "Last year's retreat seemed to be what every individual needed it to be. For me, that meant establishing new friendships across a variety of churches and communities in NYC, being encouraged by what the Lord is doing in NYC amongst our generation"
"Cru beach retreat was the first time that I really got to know different people in the city. There's something about getting away and spending the weekend with people that bonds you. It's such a relaxing, rejuvenating break from the city, during one of the most busy (and fun) times of year. If you're new to the city or been here for a while and looking for community, you should look into coming along to the Cru retreat this year!" "The annual Cru retreat embodies all the good things that we don't always get to experience in this city. It's lowest you'll ever pay to stay at a beach house, stuff yourself with delicious food as well as connect with loving people who really do want to do life with you! Gospel work was never intended to be a lone walk and the Cru retreat is a great place to meet and get to know fellow laborers!" "I went to the Cru retreat last year and it was such an amazing weekend to get away from the city, refuel, and meet a lot of unforgettable people." The theme this year that will shape the talks and conversations is "The Gift of Being Yourself." We will process the freedom of not living out of a false self, and being unleashed for God's purposes out of who He has uniquely made you. Arrive whenever you can, and feel free to come as early as you want. Friday night will involve mainly conversation, relaxation, and quality dessert and snacks. The location is very accessible via Metro North, but if you want to go in with a few people to rent a car, feel free! Of course, we will send out more info the week of the retreat about people you can meet up and commute with and such ... If you are new to the city and overwhelmed by this...Don't be!! We can help you out! More travel details are to come! We will have one more intentional gathering to engage and renew our hearts. That will end around 11:00 and you will be free to leave whenever you need to. Feel free to stick around and enjoy the area if you'd like. We hope you will join us. Because of people in the city like you, it is sure to be another great time! Shortline Bus service from Port Authority Bus Terminal to Port Jervis (2 miles from Eddy Farm). Shortline Bus: 1-800-631-8405.